Surely, this is not an accepted English name for this common and widespread hoverfly, but the reason that this species is easy to identify is its distinctive 'Batman' logo on its thorax. 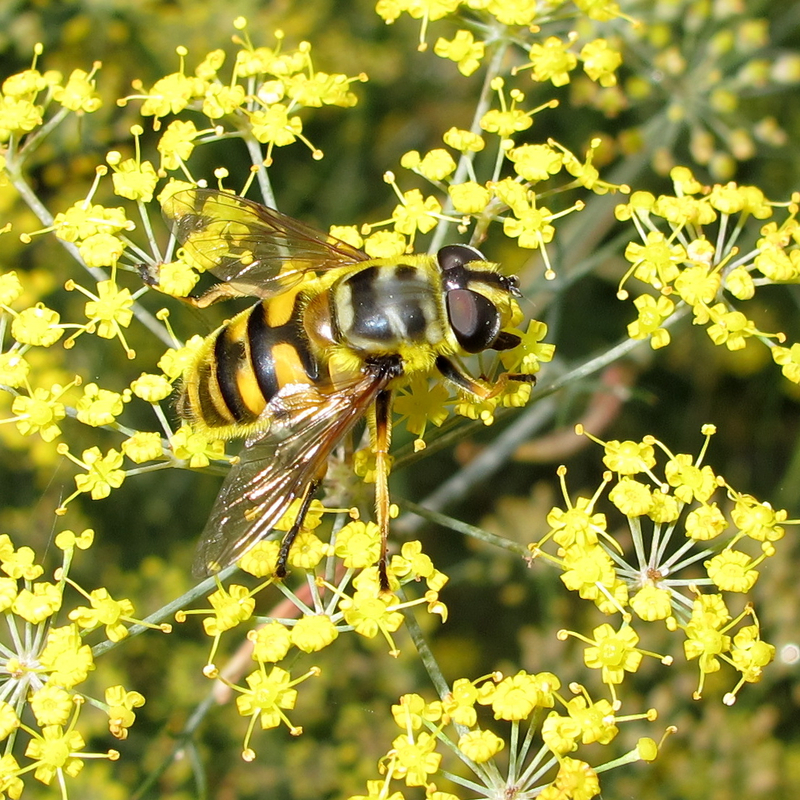 This large female fed on the fennel with two other individuals. I find it amongst the most handsome of the British species. The larvae is of the rat-tailed maggot type, like its relatives, Eristalis, the droneflies and Helophilus (the 'Footballer hoverfly') and it typically breeds in rot holes in trees where leaves decompose. This is one of my favourite hoverflies, too. I've been watching them for years...but I'd never noticed the Batman logo on the thorax! :-) It's the first thing I will look for next week!